When we speak to members and industry stakeholders on a variety of fronts, they are often surprised to hear the size of the Chapter. 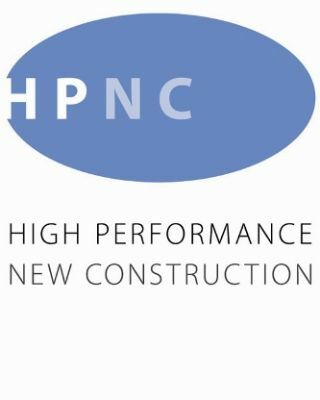 The Chapter continues to enjoy rapid growth and our membership has recently surpassed 2100 green building professionals from the Greater Golden Horseshoe region. Our passion for green building is clearly contagious! Not only do we have lots of events and programs planned for this fall and winter, we are planning a member survey for late summer / early fall that will help us learn more about your hopes and ambitions for the Chapter and the roles each of you would like to play in advancing the green building agenda. Our goal is to deliver more relevant programming, incredible value and to continue to build on our collective momentum. Stay tuned for your opportunity to help shape our future. Join fellow Chapter members and friends for a "summer garden party" at the Toronto Botanical Garden. Hear about the City's latest and greatest green building and energy incentive programs and enjoy the incredible surroundings of Toronto's first non-profit facility to be LEED Certified - the beautiful Toronto Botanical Gardens. Our partners the Better Buildings Partnership and Enbridge will present the latest on their arrays of energy conservation and green building incentive programs. Stay tuned for more information on this exciting summer event. More information on this event will be provided in early August. We thank the Better Buildings Partnership and Enbridge for their support of this event. 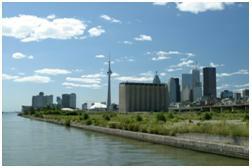 Let’s cruise together as we explore the revitalization of Toronto's Waterfront! 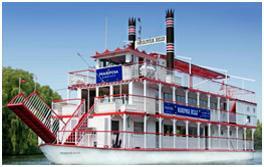 On September 16th, 2009 the Canada Green Building Council Greater Toronto Chapter will be hosting its Chapter Meeting on board the Mariposa Belle, a legendary paddle wheeler that is part of Toronto’s harbourfront history. This 4 hour cruise will feature a presentation on the West Don Lands Project by John Campbell, CEO of Waterfront Toronto. Don't miss this great opportunity to close the summer with a breathtaking view of the city while you network with industry colleagues and Chapter members! The Cruise includes a 4 hour tour of Lake Ontario along the waterfront, Buffet Dinner, Door Prizes and DJ entertainment for your dancing pleasure. Beverages will be served at a cash bar. The Mariposa Belle departs from Pier #5 at the foot of York Street on Lake Ontario. We'll be boarding at 5:30 pm, departing at 6 pm and docking at 10 pm. Special thanks to our partner the Toronto and Region Conservation Authority (www.trca.on.ca) for their support of this initiative. Green Building Festival 2009 Sponsor and Exhibitor Opportunities! The 2009 edition of the Green Building Festival is fast approaching! Since 2005, the Green Building Festival has been Canada's premier event on the business and design of green building. This year the Festival is partnering with the World Green Building Council Leaders Summit and IIdex/NEOCON Canada, bringing together over 400 exhibitors and 16,000 building professionals under one roof. With a focus on cutting edge innovation, technical detail and measurable results, GBF sessions go beyond theory to showcase world class projects that are meeting and exceeding environmental goals, and present the very best ready-for-market strategies. The Green Building Festival was created in 2005 as the Toronto Regional Green Building Festival by Sustainable Buildings Canada, the Canada Green Building Council Toronto Chapter, Toronto and Region Conservation Authority, and The Canadian Urban Institute. We are inviting our corporate and government friends and members to sponsor the Green Building Festival and play an active role in the growth of this exciting event! For information on sponsorship of the Green Building Festival, CLICK HERE. For information on exhibiting at the Green Building Festival, CLICK HERE. The Chairs of the Finance and Marketing Committees of the Chapter are currently seeking skilled professionals to join their committees. Please click here to learn more about these opportunities and to submit expressions of interest. Stay tuned on the volunteer page of our Web site for more opportunities. You may have heard that changes are coming to the LEED Accreditation system. The CaGBC has prepared an FAQ to answer many of the questions you have about the new accreditation system. Click here to view the FAQ. We look forward to seeing you out at the upcoming Chapter events this summer.